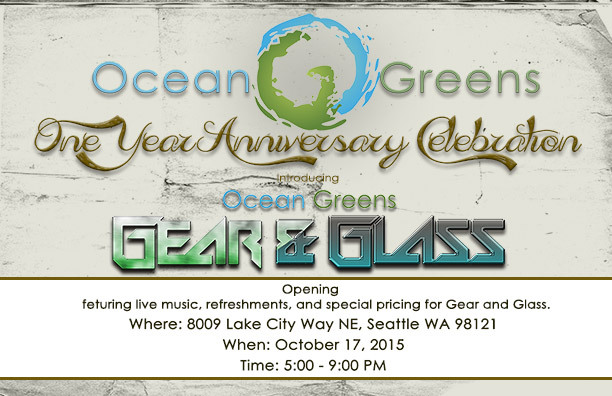 Not only is Uncle Ike’s Pot Shop and Green-Theory celebrating their one-year anniversaries this weekend, but Oceans Greens has announced a celebration as well. And it includes a new store opening! The North Seattle marijuana will be opening Ocean Greens Gear & Glass, a store that aims to highlight innovative products and educate cannabis connoisseurs. In addition, the store will have a glass studio offering custom glassworks classes. Expect live music, refreshments, and special pricing. Good news for fans of all stores. 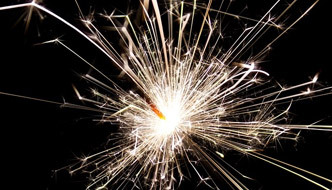 It is possible to attend all birthday celebrations celebrations this Saturday. Uncle Ike’s: noon-4pm, Ocean Greens: 5-9pm, and Green Theory: 7-10pm. Enjoy the weekend of birthday celebrations! 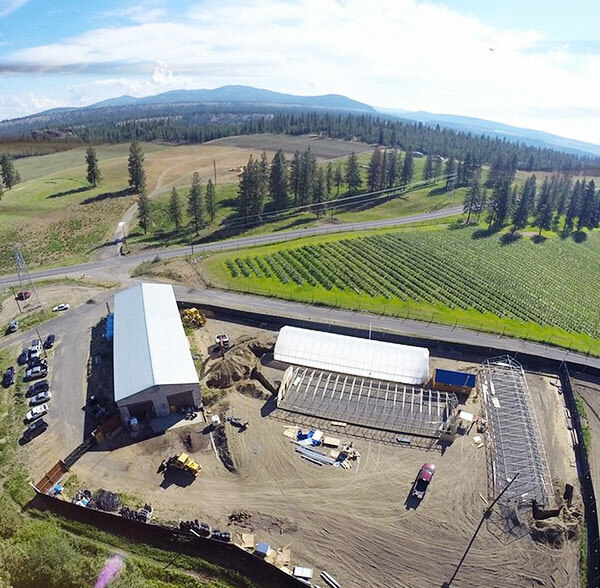 Buddy Boy Farms, located in Eastern Washington, grows some impressive cannabis. Arguably, its most impressive strain is God’s Gift, which really packs a punch at a record breaking 41.7% THC. This seemingly impossible high THC strain has captured the attention of scientists and growers. When High Above Seattle visited Ganja Goddess in SODO, Lee, a knowledgeable budtender, showed us the strain and peaked our interest, inspiring a deeper investigation. Let’s look at some of the details of the strain that make it so potent and how it gained its current credentials. God’s Gift is an indica dominant strain which was once grown only outdoors. Now some of the plants are grown indoors though the 41% THC content buds were found outdoors. God’s Gift is the result of bringing OG Kush and Granddaddy Purple together. 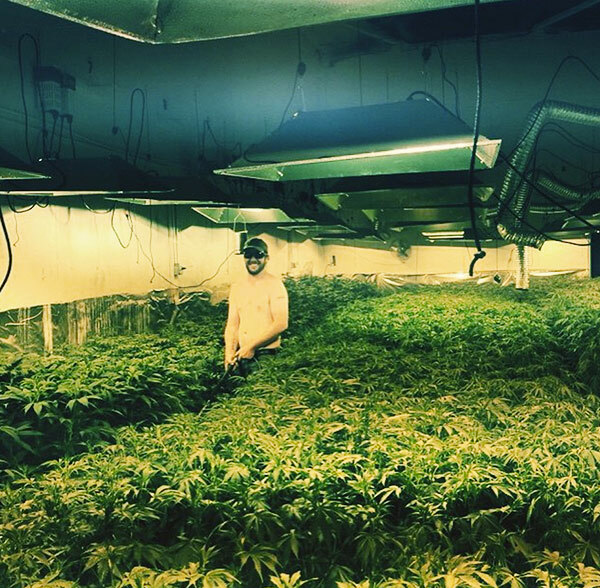 While growing and tending its plants, the farm goes above and beyond to ensure the best marijuana possible, as well as the most accurate information about that marijuana, is available for the consumer. Buddy Boy Farms has been utilizing only organic farming methods for 40 years, meaning there are no herbicides, pesticides or fungicides used on any of its plants. This dedication is not easy while growing plants outdoors where they are exposed to natural elements and predators. The farm uses clean spring water found on the farm, free of chlorine or chemicals. This attention to the needs of plants is an integral part of Buddy Boy Farms’ continued success. The farm is not only attentive to its plants’ needs, but to its reputation and customer knowledge as well. 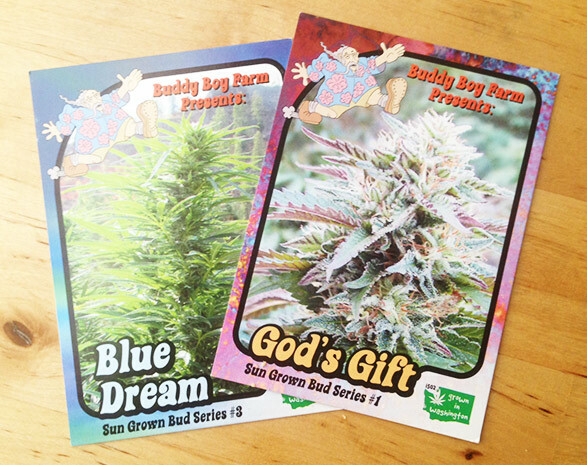 When the growers at Buddy Boy Farms discovered the potency of its God’s Gift strain, they quickly investigated further to ensure seeing was believing. Before God’s Gift’s buds were tested it was believed that the max level of THC was around 28%. 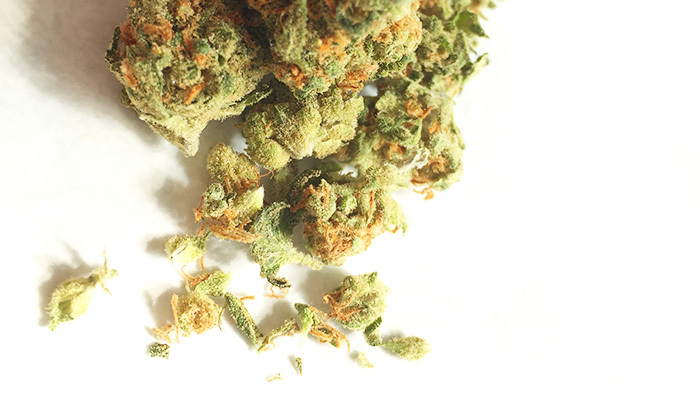 The strain was first brought to Anatek Laboratories, a reputable testing facility. The lab uses High Performance Liquid Chromatography equipment to perform THC testing, rather than the more standard Gas Cromotographs. To put it simply, the former is known by scientists to consistently return accurate results, more so than the latter. After the lab tested the farms’ God’s Gift buds it ordered a machine recalibration and tested the plant again, just to be sure. The results came back the same and everyone, scientist included, were in awe. After moments of ensuring that “spiking” a bud with THC was not in the farms’ warehouse managers repertoire, as well as further testing and facing deniers from many angles, it came to be known that God’s Gift broke THC records and is absolutely a sight to behold. The farm is incredibly proud of its plants and wants to ensure that consumers are well-informed and prepared for the high that comes with such a potent strain. If you choose to consume God’s Gift, be prepared for a creeping high which results in an unparalleled peaceful daze. Buddy Boy reminds consumers to smoke responsibly in order to enjoy the high to the fullest. If you do pick up God’s Gift to try, let us know! We would love to hear what you think about this record holder. Seattle Tonics opened their doors earlier this month. Located in Northwest Seattle off of Aurora Avenue North, south of Shoreline and North of Fremont. While SoDo and Industrial District may try and stake claim as the undisputed Marijuana District, with the Fremont neighborhood right behind, Aurora Ave North may be known as, Marijuana Avenue. 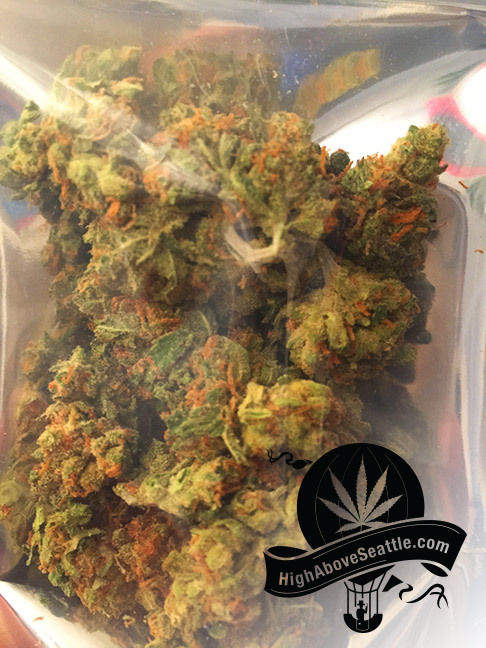 Besides Seattle Tonics: Ocean Greens, Dockside Cannabis, and Mary’s, all share this throughway. Seattle Tonics showcases its’ product inside a modern themed atmosphere with homely accents. 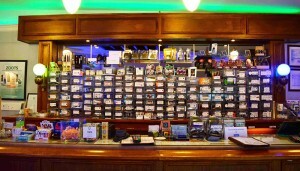 We especially dig the glass display cases in the center of the store and the menu projected on the back wall. 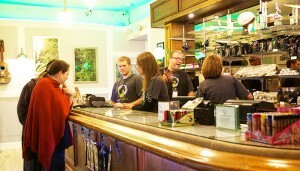 Stop by and say high to this welcomed and friendly, Northern Seattle cannabis establishment. Located just off of Aurora Avenue, Ocean Greens is a unique little pot shop that is truly a gem. Conveniently located in North Seattle. Taking a day outta the city? Perhaps going to the coast? Or just hanging around North Seattle’s eccentric communities? This shop is worth a stop, it’ll enhance your day. 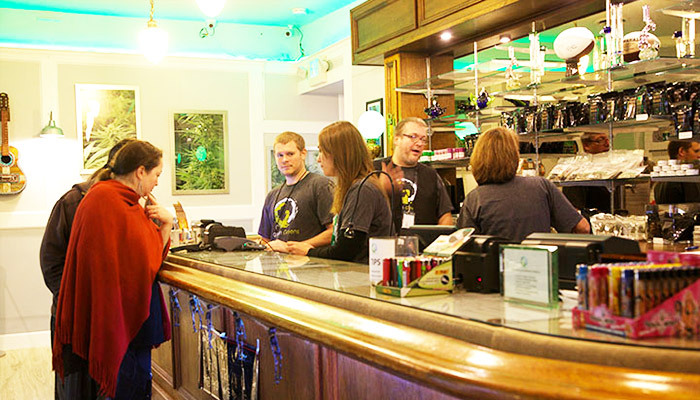 Head North on Aurora Avenue, you’ll pass by scenic Green Lake – and about 5 minutes further on your right sits this quaint recreational marijuana store. No bigger then somebody’s garage, Ocean Greens has a Cheers-like atmosphere – a few visits and everyone will know your name. From the moment you walk in, Ocean Greens is designed to have the marijuana directly in your face (in the best way possible). There are several display cases housing products, and paraphernalia – but my favorite feature was the old school wooden armoire-like shelf space for all the various strains. 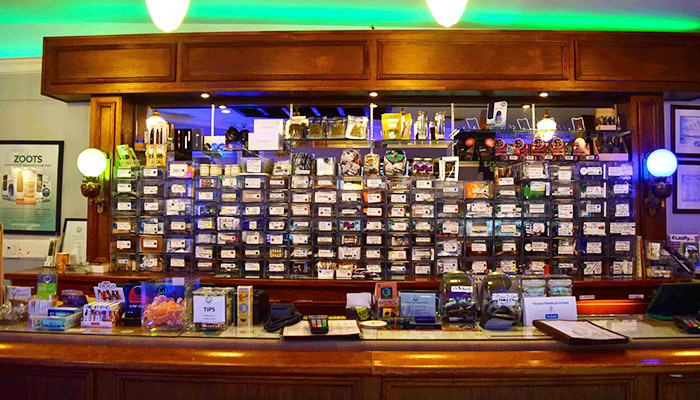 As mentioned above, the area of the shop is small – but this makes for a much more personal experience; you are deftly noticed, greeted, and helped. Vast collection of product, vast deals on price. Okay so, you can get a $199 ounce at Ocean Greens (before tax, which currently knocks it up to about $120). Usually I like to lead off with something other then numbers – but THAT… that is a good deal anywhere, tex. You could get 200/oz of Big Buddha Cheese, Grapefruit, Hawaiian Dutch, or Platinum Girl Scout Cookie (according to their online menu). Asides from the bargains, Ocean Greens has a galaxy of various strains, craft edibles, concentrates, vape cartridges, topicals, and pre-rolls. You will find what you are looking for (and then some), with the ever present help of the friendly employees of course. Sensi service with a smile. On one of my first visits, a bud tender named Tony helped me out. He could tell I was after the deals that I had read about (on their website), and was quick to give me his preferences on which bargain strains were the best. 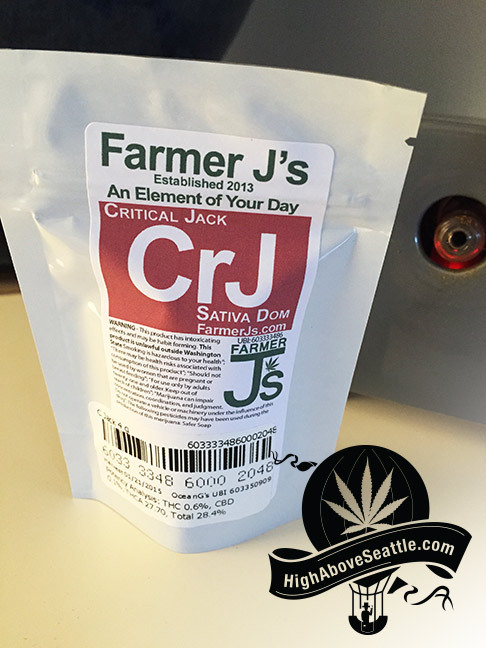 We arrived at Critical Jack by Farmer J’s, and I concur with Tony that it was an excellent choice (for the potency, and for the price). It’s bud tenders like Tony that make the recreational experience so gratifying – a guy getting paid to talk to me about weed. This is the true stimulus package, ladies and gentlemen – and it’s time to jump on board. A pot shop that is built from the ground up for customer interaction, no getting lost in the crowd here – and bulk prices that rival the black market. Charming and frequently updated website. Yes, the internets are quite import these days. It’s good to keep up with the ever hungry smartphone crowd, who will undoubtedly be searching for what additions you’ve made to your menu before they decide to visit. Ocean Greens does a great job at keeping their menu up to date, and informative. They take the time to write a description for each product, along with classification and testing results (if applicable). Might I mention the online menu is like, 5 pages long? 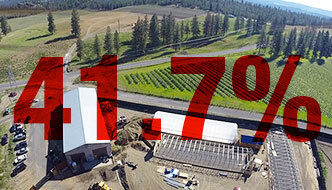 Something also to notice on oceangreensseattle.com is the Farms section, which gives a list of the producers that work in tandem with the shop. Giving this kind of website real estate to just the farmers is a smart move, and indeed shows a charismatic relationship between producer and shop. At Ocean Greens, the time is always 4:20 (seriously, look at the clock they have outside the venue). Stop by this bright shop today, and have a solid conversation about the strain, concentrate, or edible you want in your life. 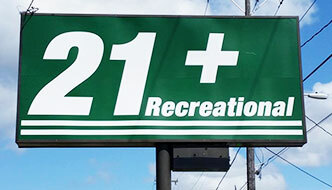 Check out other recreational marijuana stores in Seattle here.